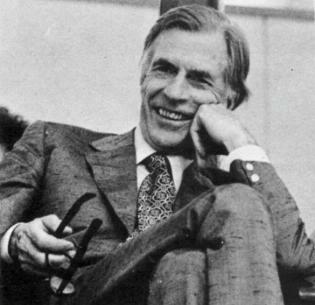 John Kenneth Galbraith has written 30 books, spanning four decades. He has been awarded honorary degrees from Harvard, Oxford, the University of Paris and Moscow University. In 1998, he celebrated his 90th birthday. He continues to work as the Paul M Warburg Professor of Economics Emeritus at Harvard University. This book is a pleasure to read, is crammed with original ideas and accessible explanations and offers a comprehensive insight into the economic landscape which simply makes a lot of sense. 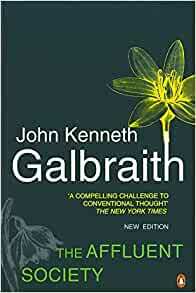 It is a particular joy that Galbraith does not stop at the traditional limits of economic discourse -- whenever he needs to stray into a related subject in order to construct a complete and persuasive explanation then he does so competently and without hesitation. However, I would also like to mention the relationship between this book and "The New Industrial State" (NIS) which Galbraith wrote some years later. The NIS clearly covers much the same ground, whilst incorporating the further development and refinement of Galbraith's thoughts over the following decade. As a result, the NIS has a broader scope and offers a more complete picture of a modern (as of 1970ish) industrial economy -- but is also a little less accessible and undoubtedly a "heavier" read. If you have read and enjoyed "The Affluent Society", then the NIS would be an excellent next step, in which the ideas presented here are refined and expanded, but "The Affluent Society" is a great place to start. I strongly recommend this book, originally written in the 1950s but with Galbraith's comments in the light of events up to the late 1990s. At times, his prescience is eerie, given recent economic developments. He is a gifted ironist, a magisterial prose stylist and piercing thinker. His analysis concludes with the outlines of a programme of action that has not lost much relevance. I suggest 'The Culture of Contentment' and his book on the 'The Great Crash' to complement this. Just what I would expect from JKG. I read this for the first time some 30 years ago. Still current. 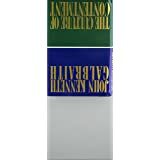 This work is generally admired as one of the greatest non-fiction books of the twentieth century, but with the benefit of hindsight, it must be regarded as one of the greatest failures of persuasion. • We live in an age of public squalor and private wealth, illustrated succinctly by Galbraith’s point that people are happy to spend on vacuum cleaners and cleaning materials for their homes, but are not so happy to support the burden of street cleaners, giving us clean homes and dirty streets. Much of the book is spent arguing against the premise that private enterprise is good while public initiatives are inherently bad. After all which is it that upholds the law, builds the roads, keeps our rivers clean and the air pure, and educates our children? Galbraith argues his case well, if a little repetitiously and long-windedly. However, it cannot be denied that he lost the argument. In the 1980s, the Reagan and Thatcher governments both enthusiastically adopted neoliberal ideas. Worse, the subsequent Democrat and Labour governments of Tony Blair and Bill Clinton did not reverse these policies, merely trying to mitigate some of their effects. To cap it all, when these polices led to catastrophe in the credit crisis of 2007, the favoured solution adopted by the US, British and German governments, the IMF and the bankers, who were the primary cause of the crisis, was austerity, i.e. further reductions in public spending. These neoliberal ideas did exactly what Galbraith was arguing against. They took the classical economic theories of Adam Smith and others and applied them to contemporary society. Governments must be kept as small as possible and keep interference in private enterprise to a minimum in order to allow market forces the free-est rein possible. This led to the transfer of businesses from the public sector to the private sector, the reduction of taxes, the withdrawal of certain rights previously ceded to the trade unions, and cuts to public spending on education, housing and social services, but not to defence. Galbraith’s proposed solutions - the elimination of poverty, increased public investment in infrastructure and the development of a New Class of educated managers and professionals focused on public service, security and personal standing rather than material rewards - seem rather quaint and old-fashioned. In this age of Farage, Trump and their ilk, we are being made aware that voters are not highly motivated by the elimination of poverty, particularly when they perceive that the underclass may contain a disproportionate number of members of racial minorities and recent immigrants. Nor do they trust public servants to spend public money on the right things, so they are perfectly happy to favour tax cuts over investment in public services. Public spending has certain sacred cows - nuclear weapons and defence generally, the National Health Service in the UK (but not Obamacare in the US), and maintaining the transport facilities, roads especially, that the public rely on. Otherwise, everything else is fair game for cuts in expenditure. Even the police and fire service, not to mention education, are forced to swallow their share of the medicine. There perhaps is the crux of the problem. The voters do not see the disinterested public servants of Galbraith’s New Classes. Spurred on by a right wing press, they see self-interested politicians, inflexible bureaucrats and incompetent administrators. They see racial minorities and recent immigrants in receipt of social payments, and they see time and effort wasted in political correctness and support for causes they have limited interest in or are actively hostile to. For certain, they do not like the fat cat CEOs, bankers, lawyers and journalists, but they do not draw a distinction between them and the politicians, left and right wing, senior civil servants, and local authority and health service administrators. Most of the public have limited exposure to CEOs and senior bankers, but they have all had exposure to low-level public servants, their school teachers amd the teachers of their children, and, let’s face it, they have limited respect for them. In some respects, Galbraith himself shows us why his New Class is distrusted. The tone of his writing style is one of intellectual superiority. He mocks his opponents as pedlars of “conventional wisdom”, a phrase he coined in this book to emphasise his own superior originality and insight. This high-handed, mandarin style will not win over supporters while his opponents offer crisp, simplistic solutions drawn ultimately from Hayek, Friedman and Rand. The sad thing is that Galbraith is correct. We do need a new economic paradigm, but not the one that he proposed, which takes account of the increasing affluence of those people fortunate enough to live in the western democracies while ignoring the poverty that was still prevalent in the 1950s among the masses in the Third World. We now need an economics for a world where neoliberalism and globalisation are destabilising the western democracies, by making the elites richer and everyone else poorer, and is creating new affluent elites in the emerging markets. If we cannot develop something soon, it may be too late. This is a thought provoking book, but it is now somewhat dated. I cannot recommend that you read it unless you have a special interest in the history of left-leaning thought in the second half of the twentieth century. Galbraith is unquestionably a clever and sincere man, but he ended on the wrong side of history. Any potential readers would be better off seeking out something more forward looking.